But, you say, I’m in my 30s (or 40s, or 50s). I don’t really need to worry about this yet. According to this article “[a]n important age range for improving balance is the 30s and 40s. While most people don’t develop serious balance problems until well into their 50s, experts recommend that otherwise healthy people keep active and do simple exercises to challenge the body and keep steady into old age.” The article goes on to talk about the 3 important systems we use to maintain balance: the visual, the vestibular and the proprioceptive. If you’ve been coming to Forza! for any length of time, you’ve heard me talk about these systems and have learned the resets and other exercises we do to maintain or improve these systems. 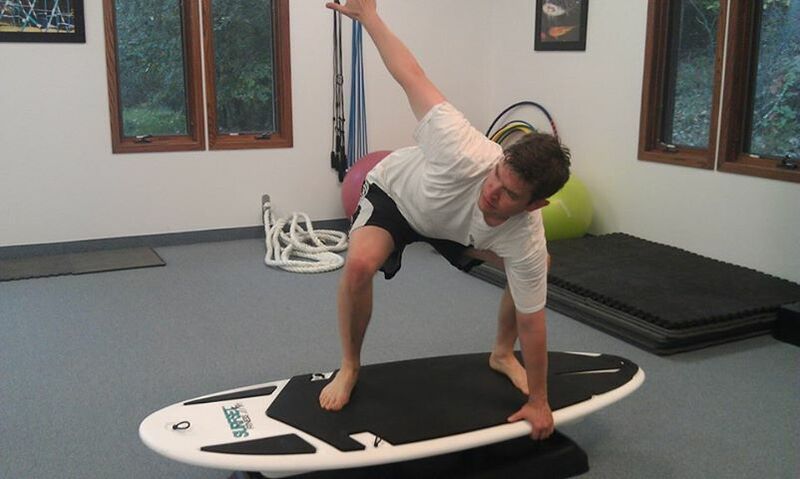 The addition of the Surfset Fitness Boards has provided another method to work on balance in a challenging and fun way. So for you Forza! clients out there, keep showing up for class knowing you are doing great things for your future selves. But don’t stop there. Invite your friends and family to join us. Tell them how important they are to you and how you want to enjoy many more healthy and active years with them. Tell them they need balance training in their lives. Tell them Forza! can help. If you are looking for a slightly healthier alternative to all the sweets that tempt you during this holiday season, try these Winter Squash Protein Muffins. We’ve been making these during the winter months for years without the protein powder and I make banana protein muffins almost weekly so I wanted to try these squash muffins with the added protein. I adapted them by substituting protein powder for 1/2 the flour, used gluten free flour for the flour I kept in and left out the brown sugar in the batter entirely. They still turned out great and didn’t last long in my house. They end up to be about 30 g of carbs and 10 g each of protein and fat, so they are still an occasional treat, not an eat every day item. My next goal is to try to substitute a protein frosting for the crumb topping to reduce the carbs to 19. I’ll let you know if I succeed. 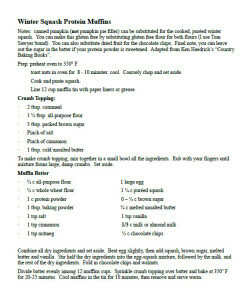 Click on image to see full size recipe. Happy Thanksgiving Everyone! Winter is almost here is and with that comes fewer options for in season green veggies. Kale and brussels sprouts are two that top the list. I’ve come to really like kale, but I’ve always hated brussels sprouts. Last week I found this recipe for brussels sprouts that has me singing their praises. It is such a simple recipe and has great fresh ingredients. If you have been a brussels sprouts devotee, here is another recipe for your arsenal: Hashed Brussels Sprouts with Lemon Zest. If you have never liked brussels sprouts, this recipe just might change your mind. Use a food processor to shred them to make them even faster. Enjoy! take this every day. Helps with keeping things moving and feeling good. Viagra for sale? This website provides highest quality generic medicines, which are shipped directly from India. I am stiff and sore but also reinvigorated. 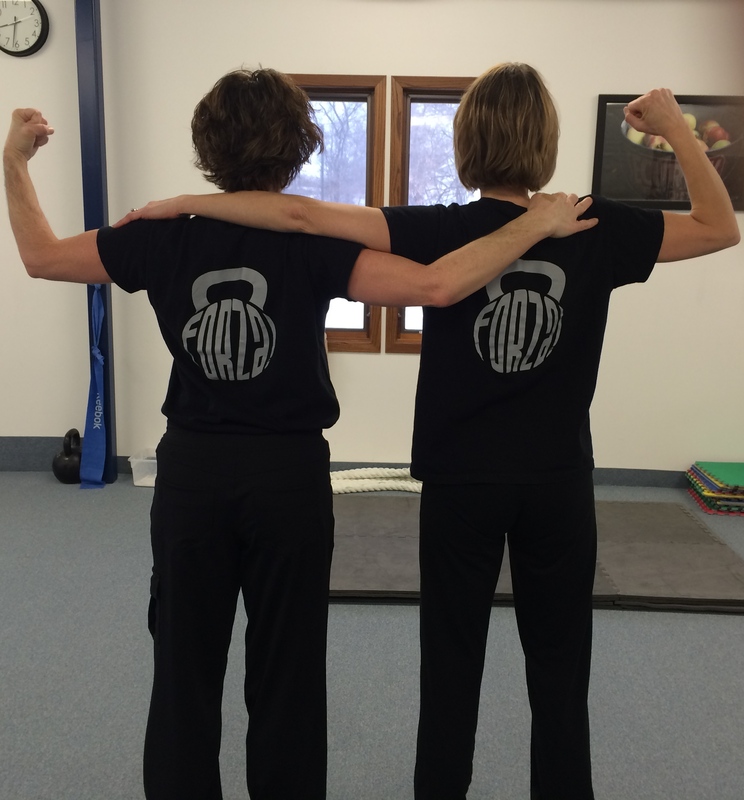 My Saturday was spent at a Russian Kettlebell recertification in Wisconsin, lead by Master RKC Instructor Andrea DuCane. It was challenging, but also rewarding and educational. RKC instructors are required to get recertified every 3 years to keep up to date on the latest form requirements and teaching methods — the types of changes that occur when an organization is dedicated to excellence and not willing to rest on their laurels. I encourage anyone who is looking for a physical challenge to look into getting certified. 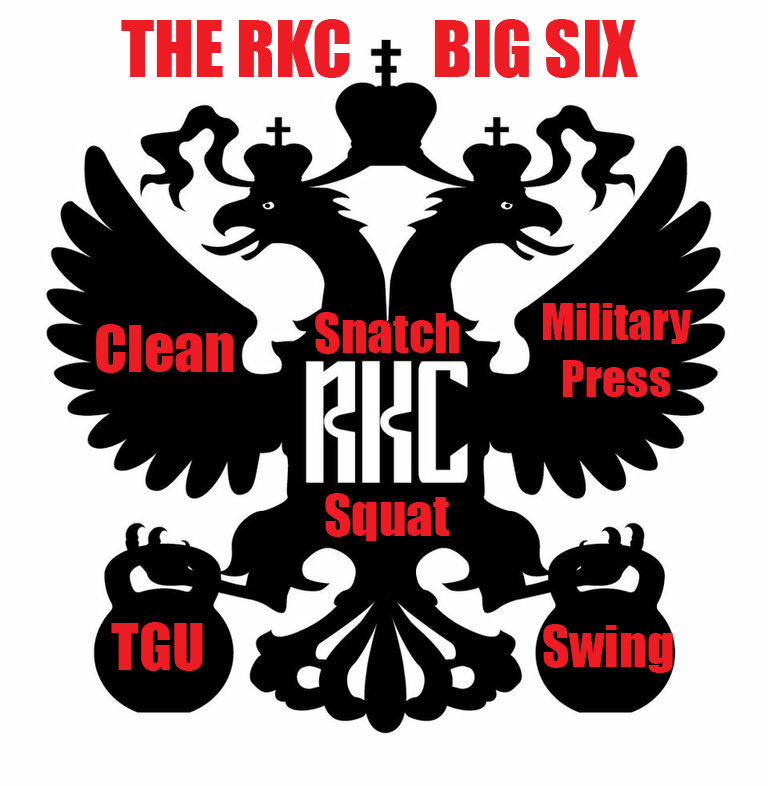 The RKC (Russian Kettlebell Challenge) offers two levels of certification, a one day certification call the HKC (Hardstyle Kettlebell Challenge – a great place to start) that is challenging but not as rigorous as the RKC which is a three day extensive certification (which I first did in 2009). I’d be happy to train anyone for either of these challenges and would love to have some additional instructors for Forza! Even if you’re not ready or looking for something like this, please get into Forza! over the next few weeks as I work through with all of you the modifications to basic kettlebell drills I learned this weekend. See you there! Give it to my father ,he said it is good Canadian cialis! All the medications one can see in our product lists are generic. We start them young at Forza! Resets are great for your body and they can be fun and challenging as well. 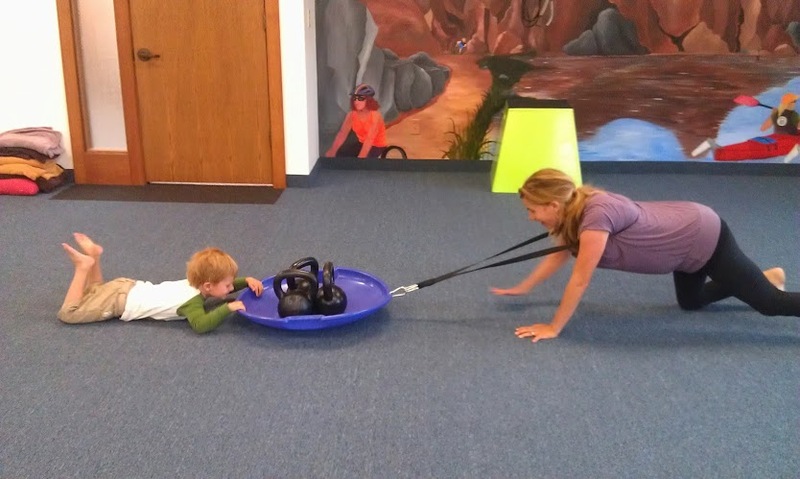 Here is Angie doing a backward crawling reset with some help from her son Eli. 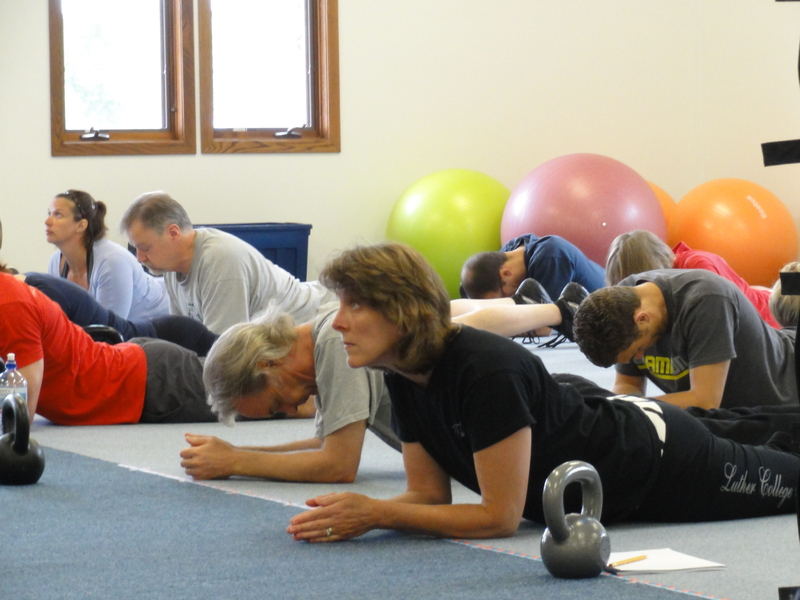 The next Restore Your Core (resets) classes are Monday evenings from 7:30 – 8:30 for the month of November. Please call or email to register. It might be gray and rainy outside, but inside we were surfing at Forza! Great job everyone! I’ve been using this product for 6 months now and it’s totally eliminated all menopausal symtoms. Buy cialis canadian pharmacy! When you order drugs online from our shop you can be assured that you’re ordering the very best brand and generic medication from Canada. If you haven’t been in to Forza! for a while, you’ll have to come and try out the new SurfSet fitness boards. There was a great article in Monday’s Star Tribune Variety section called Stand Up. Your Desk Job May Be Hazardous To Your Health. This is not new news. In the 1950’s a study in England showed that bus conductors who spent their day sitting behind the wheel were twice as likely to have coronary heart disease as the conductors who spend their days walking up and down the aisles and climbing the stairs on double decker buses collecting fares. 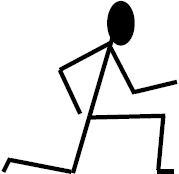 Research in the last few years has shown that even if you exercise daily it still does not counteract the effects of sitting all day, although exercisers still fair better than non-exercisers. What was most interesting about this article to me was that businesses are starting to do something about this. Salo, a financial consulting and staffing agency, after participating in “inactivity research” done by the Mayo Clinic, has added 11 treadmill desks, desks that can be converted to standing desks, and telephone headsets that allow callers to walk and talk. The results? Employees cholesterol counts and weight went down while productivity went up! A win-win all around. Hopefully more companies will jump on board with this idea. I would like to suggest that sitting can be harmful in additional ways not discussed in the article. When you sit all day, you are turning off the muscles in your core that are meant to tie you all together from top to bottom and left to right. When these muscles spend so much time turned off, they are less effective in doing their job when you do exercise and you are much more likely to get injured. Sitting all day causes you to lose your reflexive stability. So what do you do about that? You press reset. Even if you don’t have access to a treadmill desk, there are resets you can do standing or even sitting that can help mitigate the effects of all that sitting. If you haven’t read Original Strength: Regaining the Body You Were Meant to Have by Tim Anderson and Geoff Neupert, I highly recommend it. If you want to learn how to press reset, come to a Restore Your Core class at Forza! See you there. Restore Your Core – New class at Forza! “In the beginning, you were created perfectly. When you were born, your brain had a movement template that was ‘hard wired’ into yourself, and your body was a blank slate ready and willing to grow with perfect strength and mobility. You spent your infant and toddler years learning how to move, building strength and completely integrating your whole body. You glued everything about yourself together: your nervous system, vestibular system, visual system, muscular system, proprioceptive system, digestive system – every system you have, you integrated them together.” This is a quote from Original Strength by Tim Anderson and Geoff Neupert. Mark, has you ordered this medicine? Do you satisfied? Buy cialis online! Online Canadian Pharmacy provides one of quickest and easiest ordering processes available oline today. Since not everyone who was interested in could attend, I am offering a new 4 week class at Forza! called Restore Your Core, based on the resets from the book and workshop. For this first time through, rather than have a full day or even half a day workshop, I’ll be breaking the resets into 4 1-hour long class sessions. These sessions will be on Wednesdays starting July 31 at either 11:00 am or 6:30 pm. The cost of the classes are $20 per session or $75 if you pay for all 4 at once. For the 11:00 session, there will be onsite childcare available for a fee of $3 for the 1st child and $2 for each additional child. I encourage people come to either time and to come to as many of the 4 weeks as works with busy summer schedules. If you haven’t ever been to a class at Forza!, this would be a great way to get started. Everyone can and should do these! I worked with my father this summer and got him doing resets and he has had both a hip and a knee replaced. If you are already in great shape, these resets can make you even stronger and more resilient so you can go harder, longer and farther with your training. 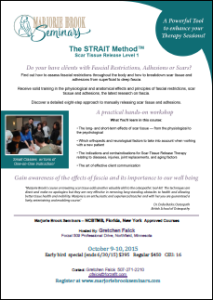 Please email me at gfalck@forzafit.com or call 507-271-2210 to register. I hope to see you there. The Original Strength Workshop at Forza! on June 22 and 23 was a great success. We had about 25 people attending for the first day and over 2/3rd’s came back for day 2. I attended my first workshop with Geoff Neupert and Tim Anderson back in November and found the material to be just as valuable the second time around. Geoff and Tim do such a good job explaining how we get ourselves into the poor conditions we get into and took the time to really help people discover the best way for them to get back what they’ve lost. I have my whole family taking these now. My daughter experiences less stomach aches and everyone has less gas. Order viagra canada! We are aimed at supplying customers all over the world with medications of high quality at lowest prices thus helping to save their money and time. Many of the participants found themselves able to do things they had never before been able to do. 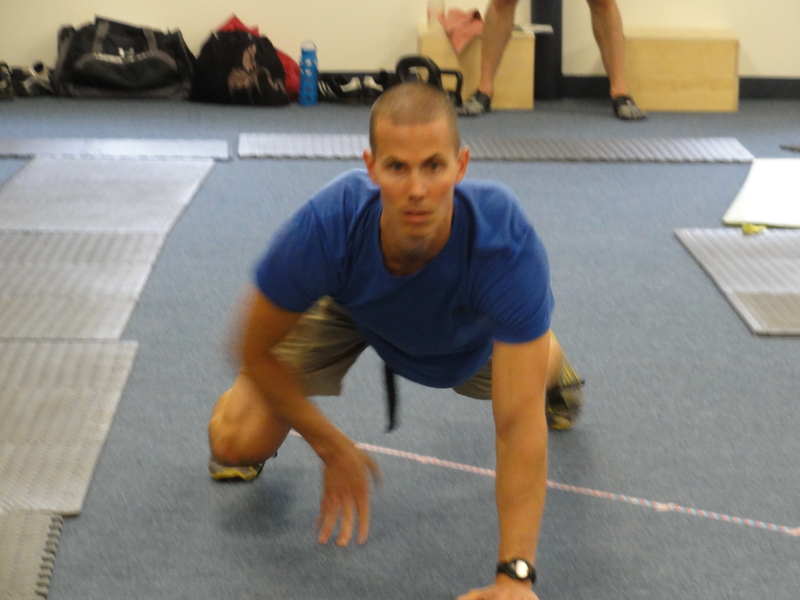 Personally, I was able to do a bodyweight pistol (a single-leg squat with no kettlebell for counterbalance) which I’ve never come close to doing in the past. I am also now able to lay on my back with my arms at 90 degrees and elbows bent at 90 degrees and my hands touching the floor (cactus pose while lying on my back). Before the workshop, my hands would stop a few inches from the floor. I’ve been trying to get my hands to touch the floor in that position for years and now I can get there any time I want. When we don’t maintain the stability through the core that we developed when we were babies, our bodies will create stability somewhere else — perhaps in the hips or the shoulders or the neck or even in several of those places at the same time. Once we press reset and get back that stability through our core, the tension in the other areas can finally release; our bodies start moving again like they were designed to move. It is quite exciting. The energy at the workshop was palpable! Check out these 50+ pics from the workshop. You can view the large slideshow here or SLOW CLICK the small slideshow below. If you click on any photo, you’ll see options to download the original to your computer. Have you lost it? Do you even know what it is to be resilient? Resiliency, according to Webster is “1) springing back into shape; 2) recovering strength”. You know how as a child, you could do pretty much whatever you wanted physically without worrying about warming up and without stretching first. Now, it sometimes feels like you should warm up before getting out of bed. How did this happen? Is it just a consequence of aging? Is there anything you can do to get it back? Yes, as a matter of fact there is. You can learn to do what are called “resets”. These resets help you reestablish neuromuscular patterns that have deteriorated over time. If you’ve been coming to Forza! you know what I’m talking about. 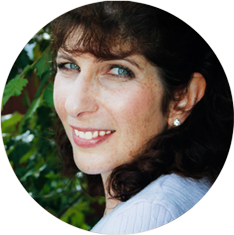 Some of you have already noticed how seemingly miraculously they can help you move better. Such simple movements we learned as babies can have transformative effects on how you move today. Like the book “All I Really Need to Know I Learned in Kindergarten”, all you really need to know to move better, you learned as a baby or toddler. Magnificent product. Very much helped my husband. Generic levitra without prescription. Erectile dysfunction (ED) treatment can be effective. So how do you learn these resets? You’re in luck. Forza! is hosting an “Original Strength” workshop on June 22 & 23, 2013 with “Original Strength: Regaining the Body You Were Meant to Have” authors Tim Anderson and Geoff Neupert. Their passion is helping people like you regain your original strength through a simple, and unique way to “reset” your body and overcome movement compensations, dysfunctions, and injuries. I’m so excited to have these two amazing men come to Forza! and share what they’ve learned about being resilient and regaining our original strength. During this one and a half day workshop, you will learn all of the resets they’ve discovered (rediscovered?) plus determine which resets work for you. While at the “Becoming Bulletproof” workshop I attended last fall, the resets I learned that work for me helped me go from having a difficult time staying in a squat position without falling over to being able to drop into a squat with ease. I found out it had nothing to do with my ankles being tight (which is what if felt like to me), and everyting to do with reflexive core stability, which is what these resets will help you get back. Please attend and see how these resets can work for you! Even if you’ve learned some of them already, there is still value in spending the time on yourself to learn all of the resets that work best for you. I know there will be new resets that have been added since I attended and I’m really looking forward to learning these and working with Geoff and Tim again. Hope you can join us!